Don't let the Summer Heat stop your Feet! 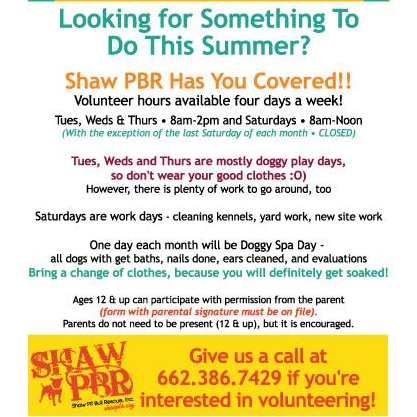 - Shaw Pit Bull Rescue, Inc.
Don't let the Summer Heat stop your Feet! About Don't let the Summer Heat stop your Feet! All volunteers under 18 will need a parent to visit with them on the first trip. Log in to see who is volunteering for Don't let the Summer Heat stop your Feet! !